There are a lot of things that you and I argue about on this website every day, but the universal belief is that everyone needs a good set of tires. They are one of the most important aspects of your car. Especially when it comes to track days. As someone who has spun off a track because she didn’t properly warm up her tires, I can personally attest to the importance of rubber. But buying a set of tires without first testing them out can be hard. This is where Tyre Reviews comes in and, hopefully, can help identify some stuff you should look out for. 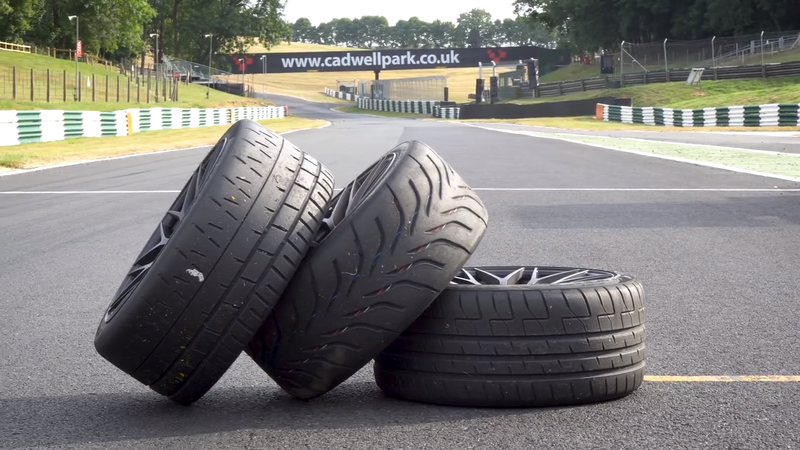 Now, they test three specific types of tires (the Pirelli P Zero Trofeo R, the Toyo R888 and the Giti GitiSport GTR3) that you personally might not be shopping for, but the knowledge base is the same. Host Jonathan Benson conducts both dry and wet handling on the same track with the same car, a BMW M2. He concluded that you have to first decide what you’re going to be using your car for: A daily driver that sees a little bit of track time or a dedicated track day car. Some very sticky track day tires, like the Pirelli P Zero Trofeo Rs, are incredible in the dry but sketchy in the wet. So maybe they aren’t the best tires to use on something you also commute with. Something also to keep in mind when buying track day tires is how long they take to heat up. Getting a bit of heat in the tires makes them grip better. Realistically, what’s your driving style like? Would you actually be able to get the proper amount of heat into the tire so they perform optimally? Lastly, how do you want your car to feel? This is a bit trickier to determine, as every person’s taste is different. But, to help you get a better idea of how a set of tires feel, it’s helpful to read reviews and watch videos of people testing them out. At least then, you’ll have some information to go off of. Of course, if you want to be fancy, you can roll up to the track with a separate set of track day wheels and tires. Check out the rest of the video here.